Russia is increasing its engagement in Yemen as part of a regional re-entrenchment in the Middle East. It has sought to position itself as a mediator for the Yemeni civil war and seeks to secure naval basing on the Yemeni coast as part of a brokered political settlement. Russia is mediating negotiations for a political solution to the Yemen conflict outside of UN channels as a means to secure naval bases in Yemen. Russia is pursuing political negotiations with the UAE and former Yemeni president Ali Abdullah Saleh by beginning to discuss the future consensus Yemeni government. Saleh’s support for the al Houthis is critical for the al Houthi-Saleh bloc to retain its influence across northern and central Yemen. The UAE may see this settlement as a way to halt the expansion of Iran’s influence in Yemen and to limit bearing further costs associated with the Yemeni war. Saleh previously expressed willingness to grant Russia military basing rights in Yemen. 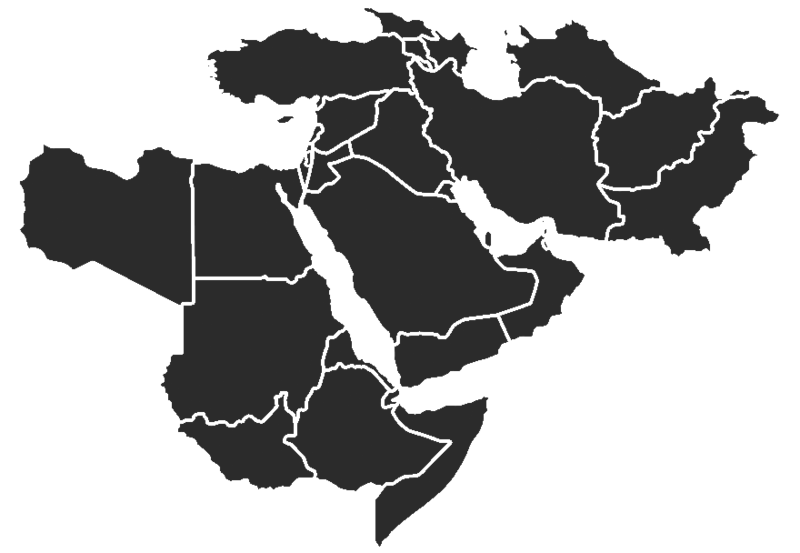 This basing would allow Russia to project power into one of the world’s busiest shipping lanes in the Red Sea and the Bab al Mandab strait, a global maritime chokepoint. The UN seeks to prevent the Saudi-led coalition’s planned offensive on al Hudaydah port as a starting point for a comprehensive ceasefire. The UN and the Russian government both condemned the Saudi-led coalition’s planned al Hudaydah offensive as a potential humanitarian catastrophe. UN Special Envoy to Yemen Ismail Ould Cheikh Ahmed is overseeing preliminary negotiations between representatives of the Hadi government, the al Houthi-Saleh bloc, and the Saudi-led coalition in an effort to institute a ceasefire before the beginning of Ramadan on May 26. Al Houthi-Saleh representatives voiced interest in allowing the UN to raise inspection standards on shipments into the port if the coalition agrees not to attack. There is a possibility that the factions reach a political solution to resolve the conflict over al Hudaydah port. The al Houthi-Saleh bloc’s use of attrition tactics is exacting a toll on Saudi Arabia’s armed forces. Al Houthi-Saleh forces are inflicting high casualties against Saudi Civil Defense Forces along the Saudi-Yemeni border. These attacks degrade the Saudi security sector’s capabilities and are also rumored to be killing civilians, leading the Saudi government to look to allies for assistance. Pakistan is reportedly sending a brigade to defend the Saudi border and approved its former army chief to head the Saudi-led Islamic Military Alliance. The al Houthi-Saleh alliance also uses Iranian-sourced technology to threaten Saudi infrastructure in the Red Sea. These attacks aim to raise the cost of participation in Yemen’s war for the Saudi government and its allies. The Southern Movement’s grievances with the internationally recognized Yemeni government in Aden threaten to fracture President Hadi’s base. The al Houthi movement is courting Southern Movement members by emphasizing their mutual interests. The Southern Movement had signed the September 2014 Peace and National Partnership Agreement with the al Houthis to secure additional representation in Hadi’s government. A Southern Movement founder and current member of the al Houthi-Saleh Supreme Political Council appealed to Southern Movement supporters’ desire for stronger regional autonomy. Southern Movement members and the Hadi government were already feuding openly over corruption and utilities outages in Aden. Hadi has taken steps to marginalize Emirati influence and the opposition within his government, replacing Aden governor Aydarus al Zubaidi after the governor claimed to “override” the president. Aden International Airport security forces previously prevented pro-Southern Movement bureaucrats from flying to Beirut under accusations that they were reaching out to Lebanese Hezbollah despite a scheduled meeting with a civil development NGO. Al Qaeda in the Arabian Peninsula (AQAP) may be providing governance by proxy in parts of Taiz, Yemen’s third largest city. AQAP may covertly operate public institutions in eastern Taiz city, central Yemen. AQAP governed al Mukalla city, eastern Yemen, in a similar manner from April 2015 to 2016 until coalition-backed forces recaptured the city. AQAP operates alongside the CorrectionA prior version of the April 28 Yemen Crisis Situation Report described the Abu Abbas brigade as “Saudi-backed.” The Abu Abbas brigade has received support from both Saudi Arabia and the UAE. Abu Abbas brigade, a coalition-backed Salafi militia that has expressed support for AQAP’s operations in the past, to combat al Houthi-Saleh forces and provide security in eastern Taiz city. AQAP provides services in order to secure a base of popular support and establish itself as a source of governance in Yemen. U.S. counterterrorism partners in Yemen have not capitalized on anti-AQAP tribal mobilization. Tribal militias mobilized against AQAP in Shabwah governorate in southeastern Yemen in order to prevent U.S. airstrikes in their communities. AQAP agreed with Yemeni tribal leaders to forego conducting external attacks in order to limit Western intervention in Yemen. It seeks to accomplish al Qaeda’s objectives in Yemen while still encouraging supporters abroad to conduct attacks in the West. AQAP maintains the capability to conduct external attacks, however. The Hadi government’s inability to pay salaries, its insufficient control over local commanders, and public discontent with the Emirati-backed security forces on which it relies will allow AQAP to preserve its permissive environment in southern and central Yemen. Russia may be able to seize the initiative to advance political negotiations in Yemen by exploiting the opportunity created by a lagging UN-led peace process and a stalemate on the ground. A Russian-brokered settlement will place American interests in the region at risk and is unlikely to resolve underlying political grievances.